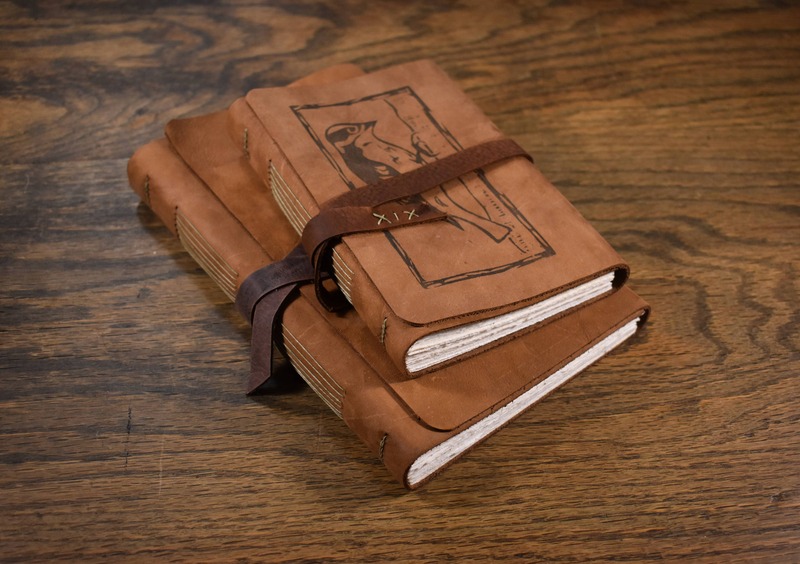 The Wanderer blank journal is handbound using traditional methods. 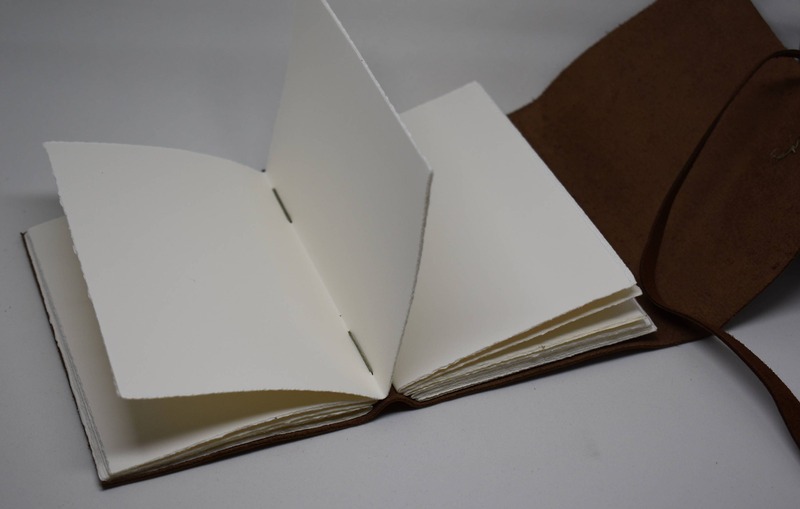 The natural white linen paper was chosen for it's exceptional feel and ability to take on ink, charcoal, and even paint. 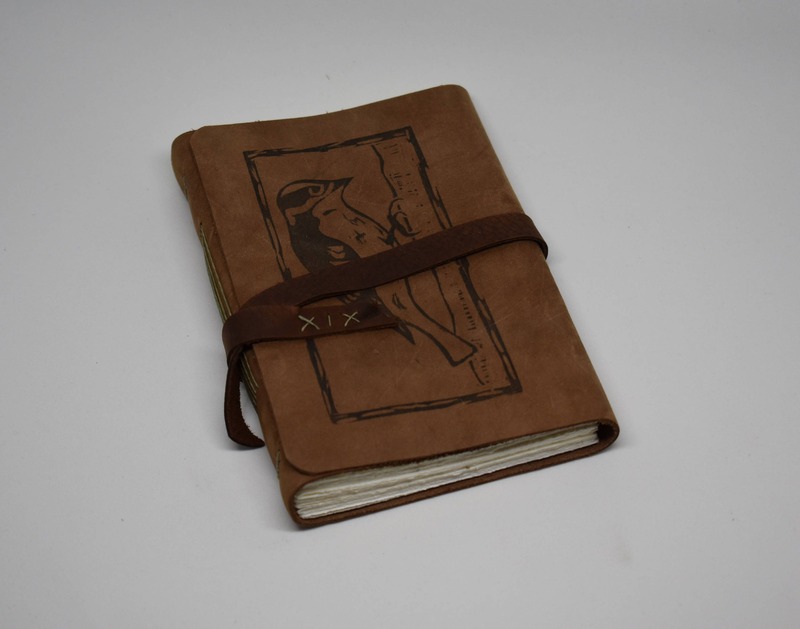 It's bound into a soft leather cover with an exposed binding. 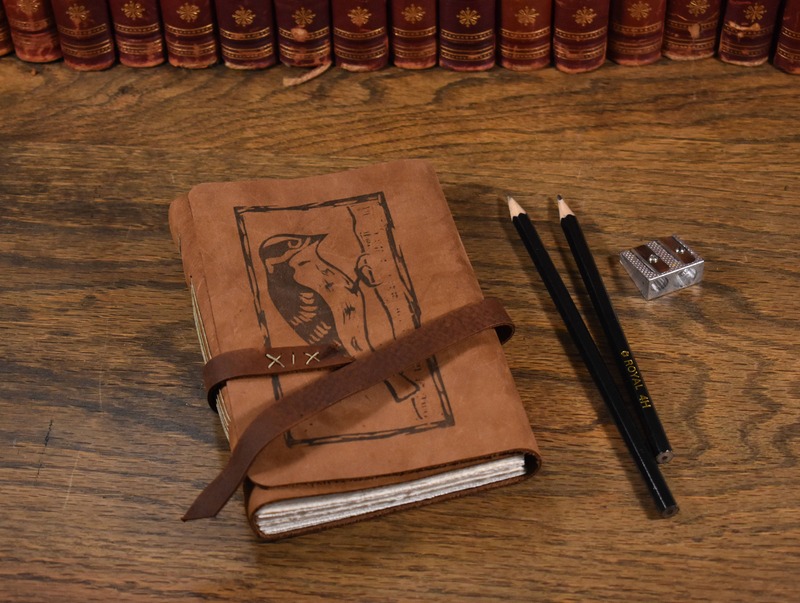 The design on the cover was created using a hand carved stamp. This listing is just for one book.